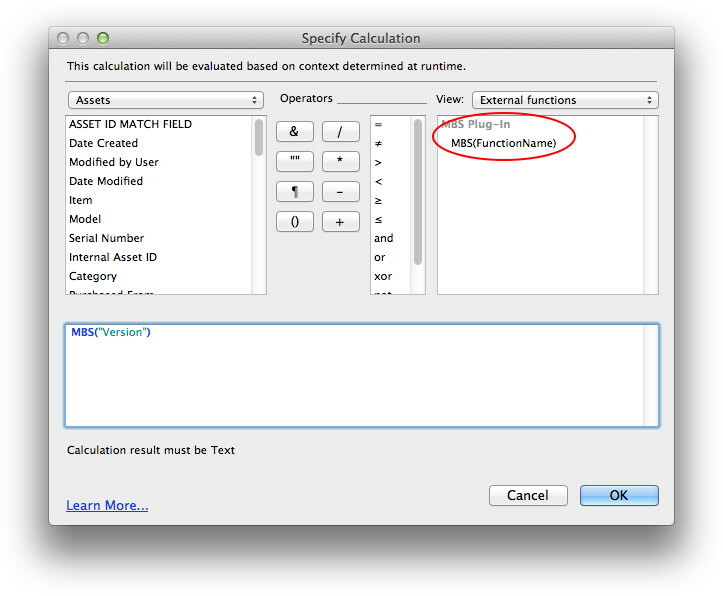 In the calculation field you can enter MBS("Version"). So MBS is the function followed by first parameter "Version". This tells the plugin which of the 1200 functions to call in our plugin. You can imaging that we don't like to overload FileMaker with 1200 entries in the calclation dialog. You can lookup all functions in the reference on mbsplugins.eu and there you find in the Plugin section the Version function. Now you can play with our 150 example databases and see if something is useful for your projects. In general you can use our plugin functions in all calculations, in script steps and in scheduled scripts on the server. Some functions require that you pass some reference/ID value. For example you can get a window reference by using Window.FindByTitle and pass that to some function like Window.SetTitle. 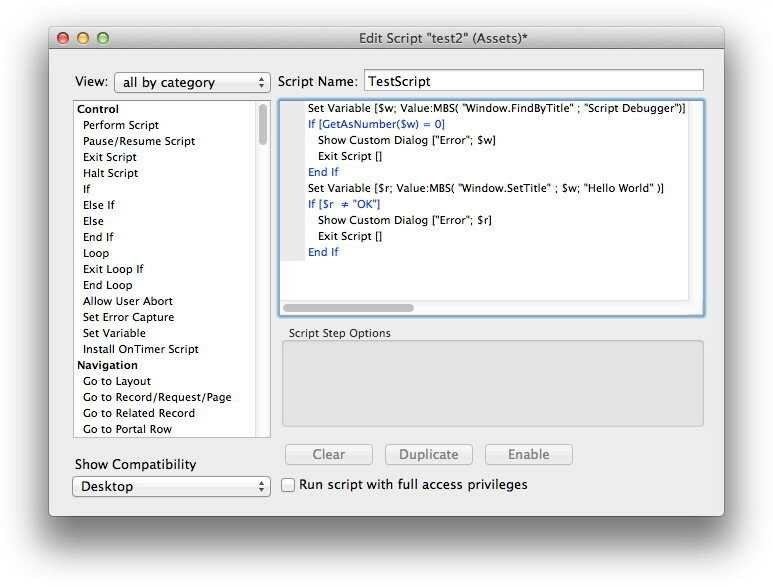 Like this script will look for a Window named "Script Debugger". If this window is found, you get back a window reference value. This is a non zero number. An error message would have the "[MBS]" prefix, so the value would be zero. If there is an error, please handle it, like here. Next we pass the window reference value to the next function to change the window title to "Hello World". 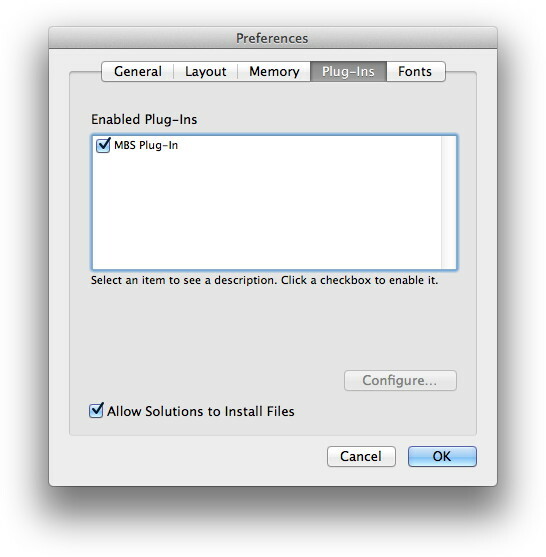 Have fun with the plugin and if you have questions, please do not hesitate to contact us.